Connected TV viewing and advertising is taking off, but so far each CTV ad platform has its own requirements, causing difficulties for advertisers in easily reaching a large audience with one campaign and then analyzing the results. Several major players banded together to solve this problem, announcing the creation of Project OAR. OAR stands for "open addressable ready," and the project's goal is creating consistent standards for CTV advertising. It aims to have a working product this spring and fully deploy it in early 2020. Having addressability on TV sets will let advertisers benefit from TV's reach, while still narrowly targeting an audience interested in a niche product. It would also let them reach cord-cutting viewers who don't see traditional TV ads. Founding members of Project OAR include content providers Disney (ABC, ESPN, and Freeform), NBCUniversal, CBS, Discovery, Turner, Hearst, and AMC; advertisers FreeWheel and Xandr; and TV maker Vizio. Inscape, the TV automatic content recognition (ACR) company that owns Vizio, will create the technology. While Vizio is the only TV platform onboard so far, the group hopes other OEMs will sign on to the open standard. Inscape's solution will expand the addressable TV marketplace to connected TVs by layering an HTML5 video that takes over the screen, with the new targeted ad perfectly synched to cover the linear ad. Vizio has promised to support the standard once it's finished. "There's a strong desire, particularly by the programmer community, to enable addressability on smart TVs so that they can introduce addressability on their national inventory," says Claudio Marcus, general manager for data platforms at FreeWheel. 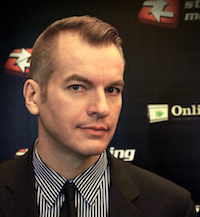 "Today, most of the addressability is on local inventory." There are only a handful of global connected TV makers, Marcus explains, so having an addressable solution in place will create not just a large U.S. market, but a global market. 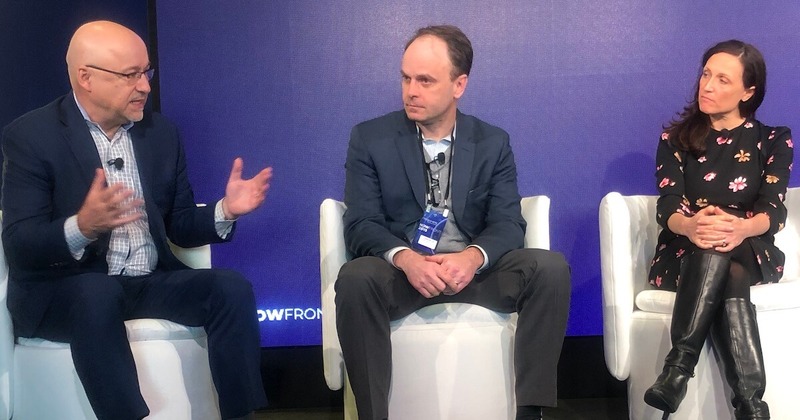 Photo: Claudio Marcus, GM, Data Platform, FreeWheel, discusses connected TV advertising with John Hoctor, Co-Founder and CEO, Data Plus Math, and Jessica Hogue, SVP, Digital Client Solutions, Nielsen, at todays FreeWheel NowFront event in New York City.